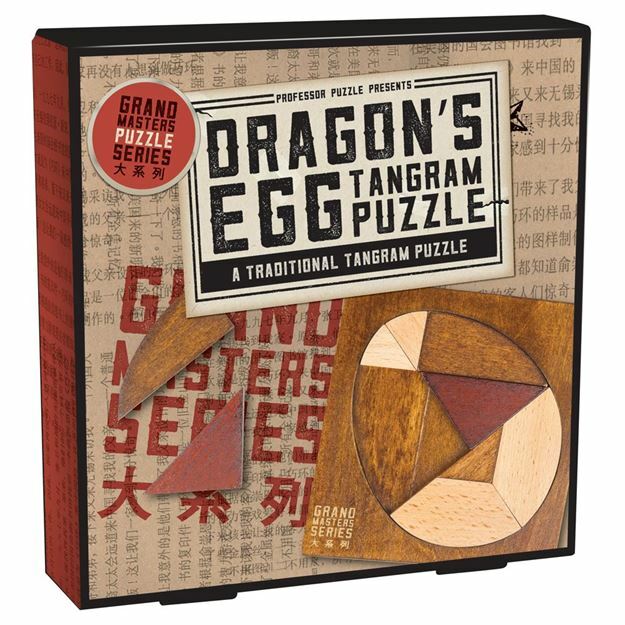 From the Chinese words meaning ‘boards of skill’, the aim of the Professor Puzzle Dragon Egg Tangram is to arrange the wooden pieces to form elaborate shapes and patterns. Can you arrange the pieces to make a swan? A flower? A bird? Part of the Grand Masters range. Difficulty rating: Philosopher. Distributed in New Zealand by Holdson.